That must be one meticulous spider! It’s amazing how much weight something so delicate can hold and how pretty something made by a horrible spider can be! I’m sure it was a very nice spider really. Wow great pic, I tried to capture something similar with no luck! Wow how did you mange to take this picture! Nice! 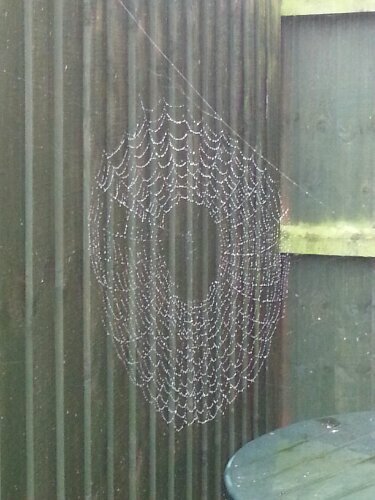 That’s a very symmetrical web!